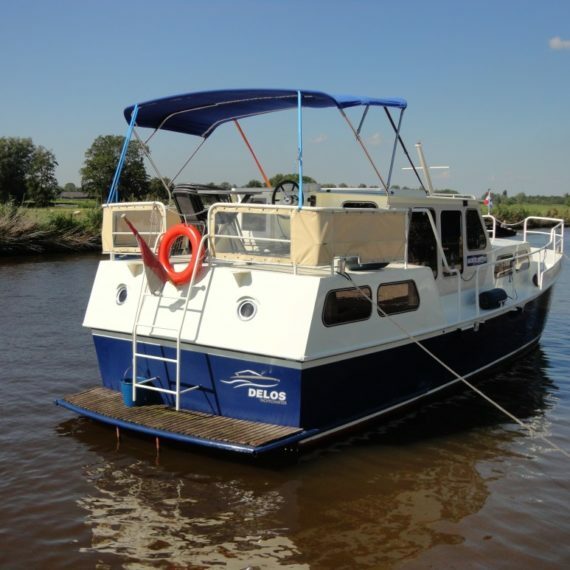 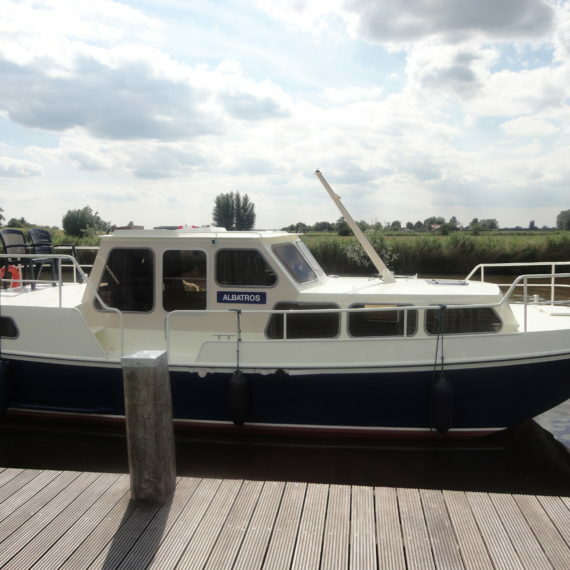 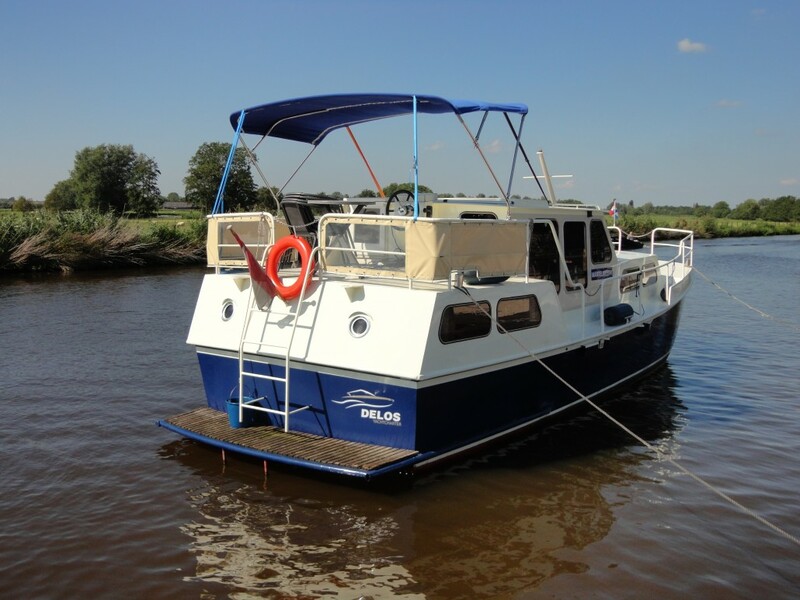 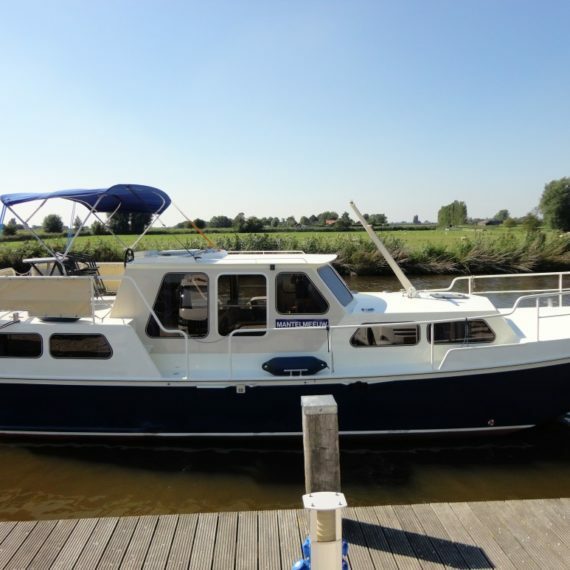 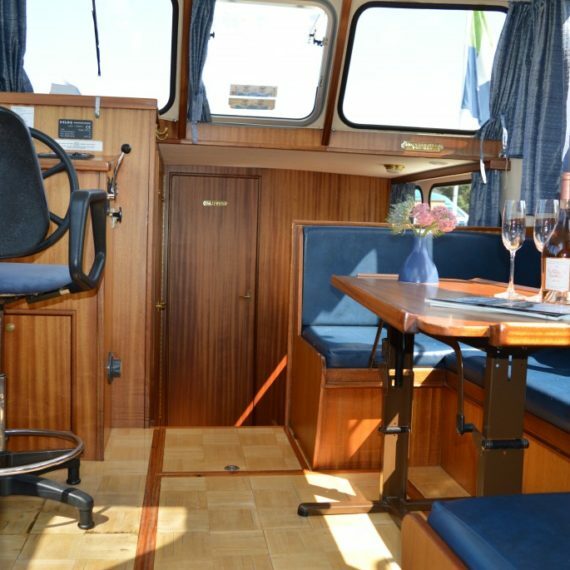 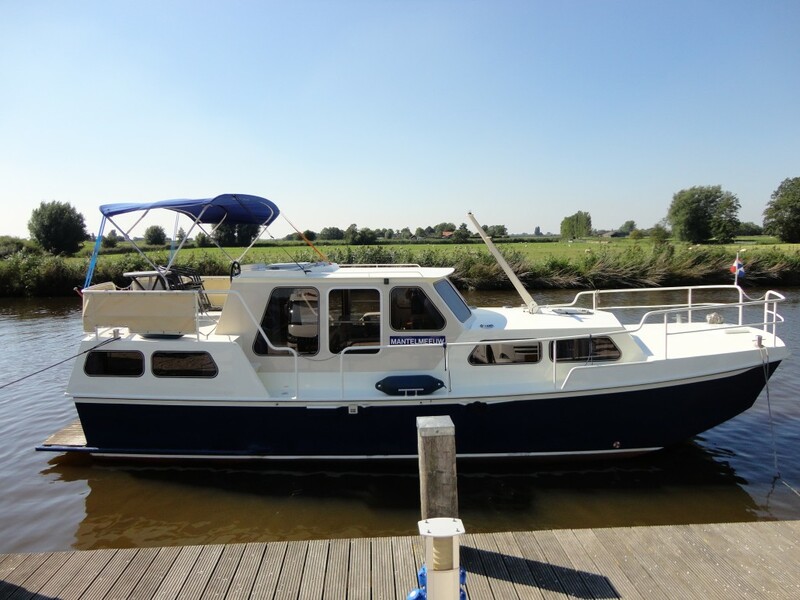 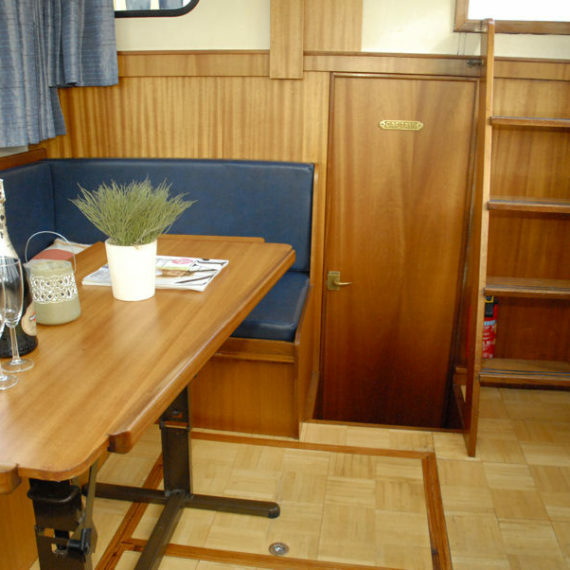 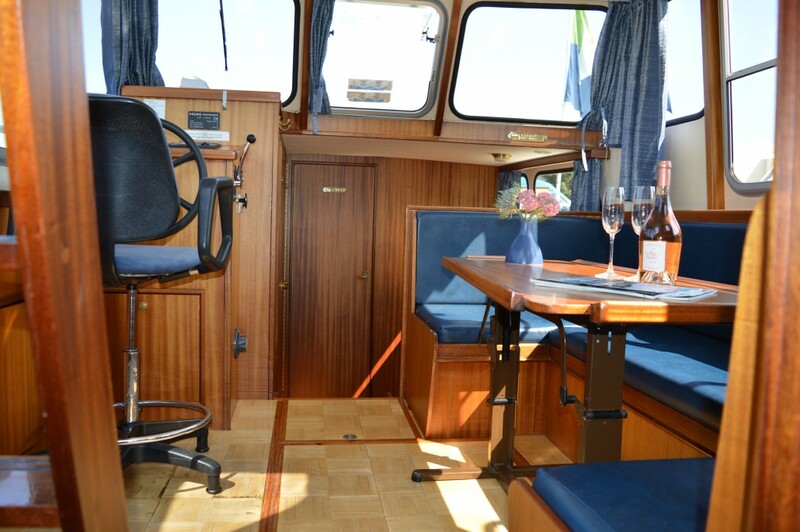 The Rogger 1000 salon is a sturdy ship with a closed wheelhouse built in 1998. 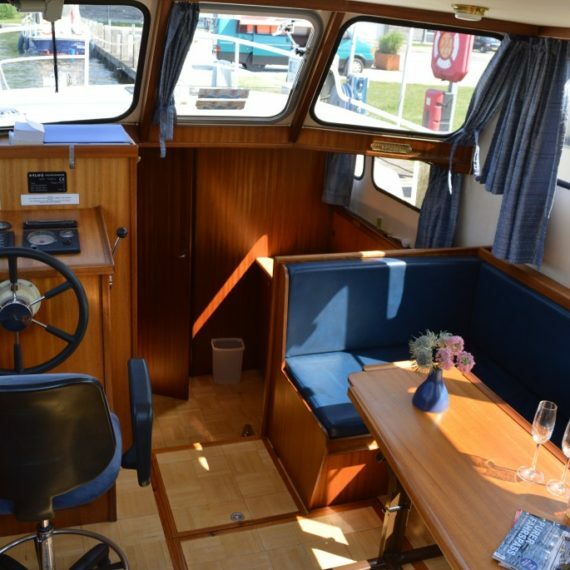 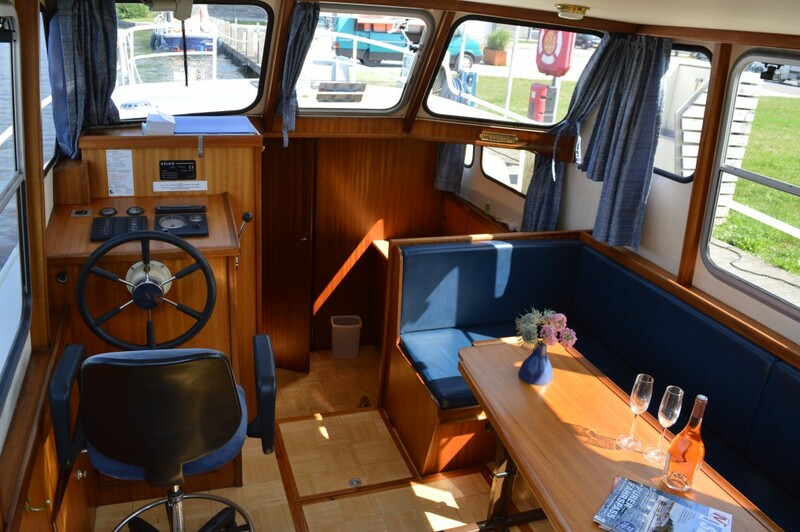 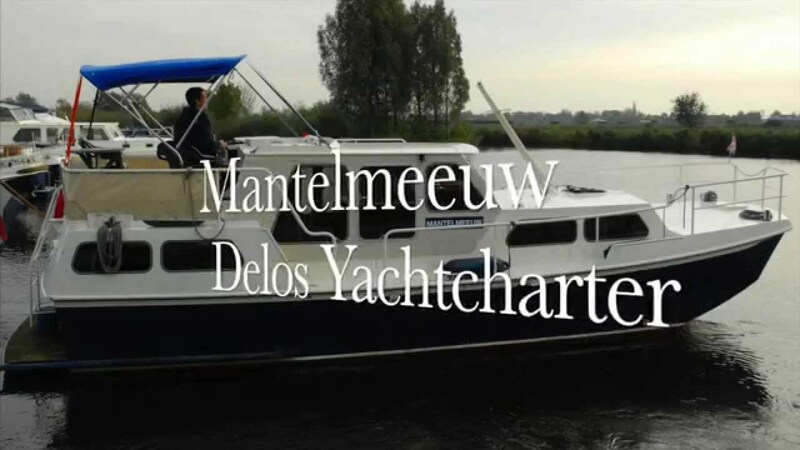 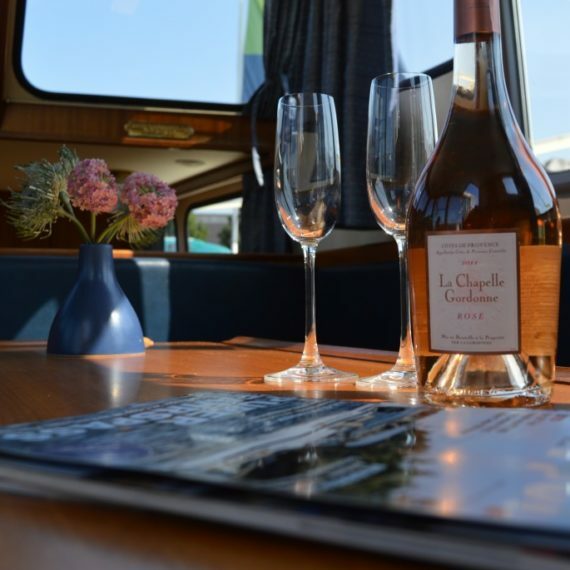 The ship has a spacious forward- and quarterdeck and outdoor steering. 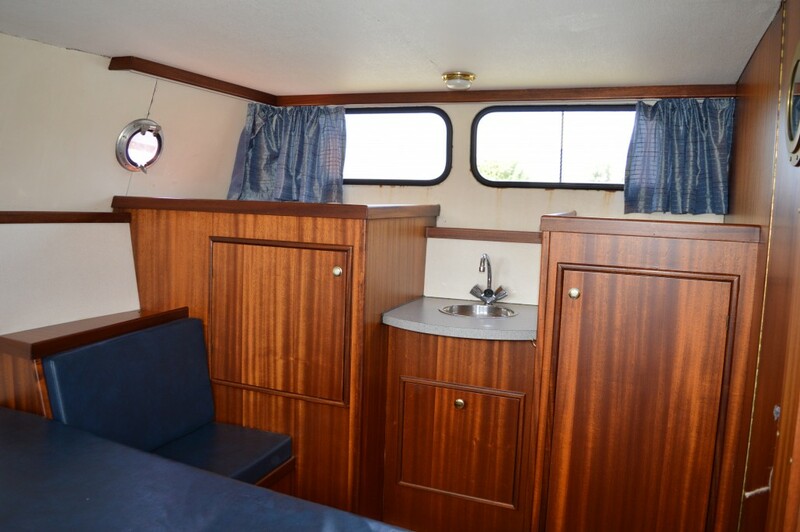 Inside are two fixed double beds In respectively two cabins plus two dinettes, which can be converted into souble beds. 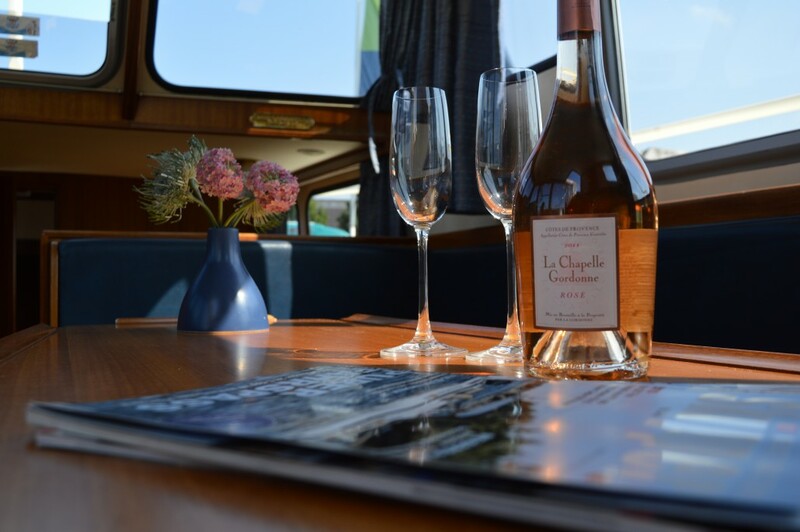 A bow-screw enabling faultless manoeuvrability, guarantees that sailing on the quarterdeck of this flagship is a true relaxation. 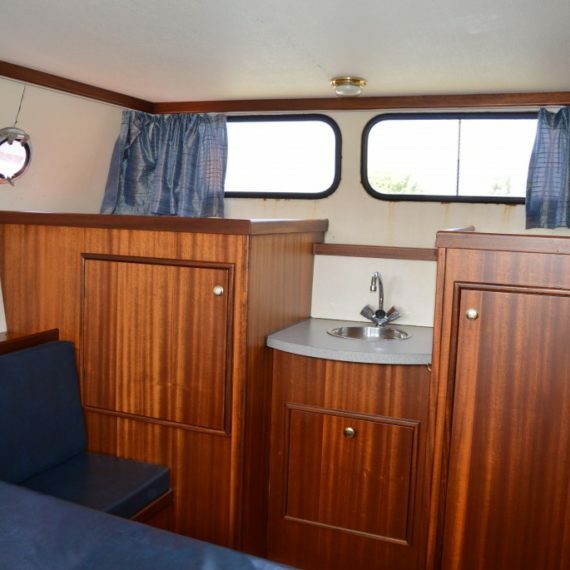 All our ships are standard equipped with a warm water supply, a refrigerator, a thermic-controlled gas cooker, hot-air heater, toilet, shower, a radio cassette player, land electricity connection (22 Volts in harbour), a swimming ladder, and a sea-rail all around. 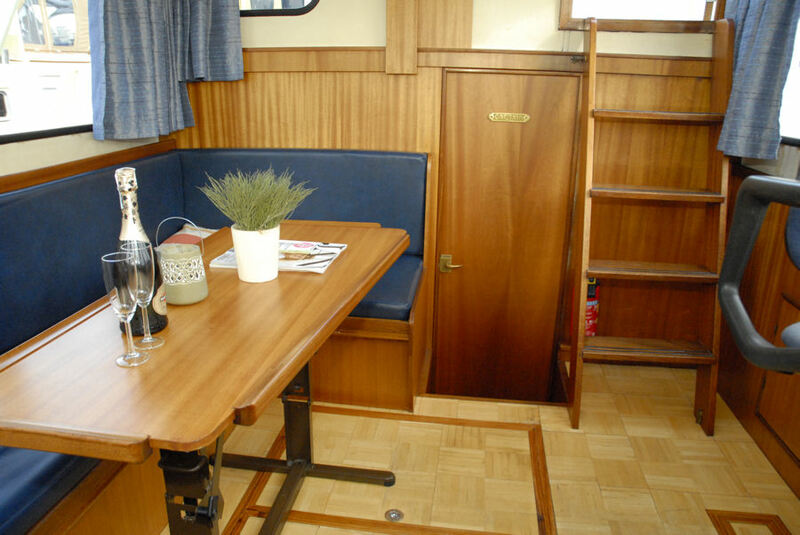 A complete kitchen inventory is present.